tip! using the mill for tapping is great. of course, no power. there's limited z-axis travel at times - this is when you have get inventive. 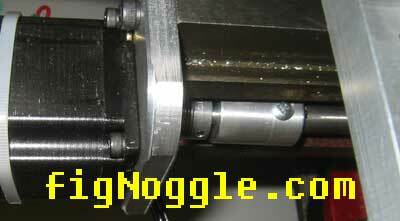 here, a transfer punch is used chucked into a 3/8" r-8 collet. 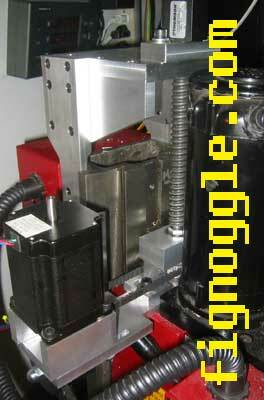 the drawbar is hand-tightened enough so that the transfer punch can slide up/down easily. 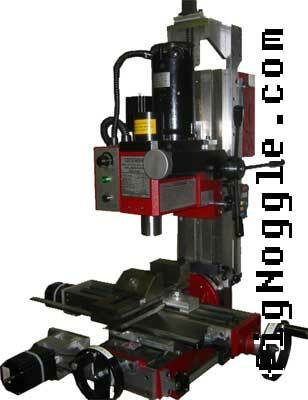 a 15/16" x 16 tpi tap is used here. here's a sneak preview of v2. here's another tip: use wood to quickly prototype your parts. a few cad drawings later, a plastic prototype emerged of part of the assembly. here's an idea - a face shield for the mill. this is not an OSHA-approved use, i'm sure. update. i've drawn up some plans that i'll post for free on how to fabricate a chip shield that is mounted to the existing shield location. it works! 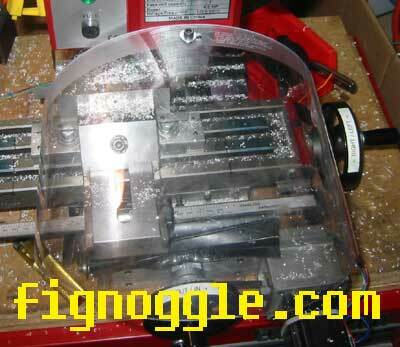 here's what version 2 of the cnc conversion looks like. what's next? plans for this cnc conversion! update. the drawings have been completed. the instructions, materials list, etc. are being written up now. 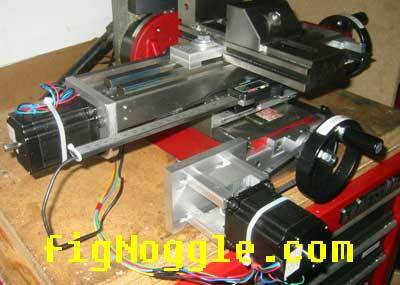 for now, you can get a drawing of a previous version of the x-axis mounting plate for free. printing is disabled in this version. another modification completed (finally). had to add a flex coupler to deal with leadscrew wobble. the old one was a solid piece of aluminum round stock. here it is. 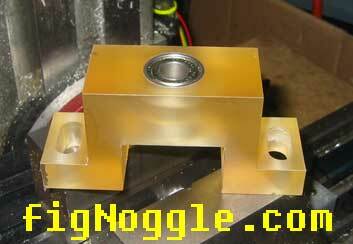 with the recent changes to DRO placement, y-axis motor plate, and x-axis flex coupler adapter. so what has changed? since the DRO plans are now available, the right side of the mill is for the scales while the left side is for the motors. here's another view of the new arrangement. the old y-axis motor placement was to the right of the handle.